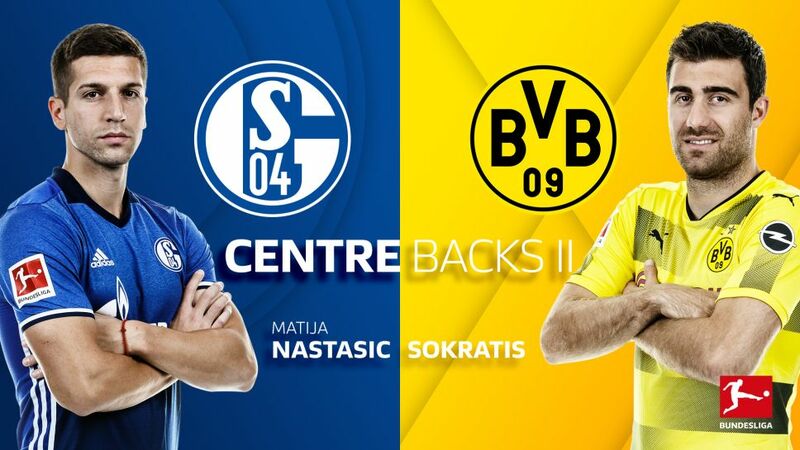 Bundesliga | Sokratis, Nastasic, Akanji or Insua – who would be YOUR second Schalke/Dortmund dream team centre-back? Sokratis, Nastasic, Akanji or Insua – who would be YOUR second Schalke/Dortmund dream team centre-back? The four candidates are: Manuel Akanji, Pablo Insua, Matija Nastasic and Sokratis. Cast your votes in the poll below! Sokratis has been Dortmund’s most used outfield player this season, playing in all but three Bundesliga outings. A natural leader, the Greece international has taken over the captain’s armband in Marcel Schmelzer’s absence — and, as well as winning over two-thirds of his challenges, he has found the back of the net in victories over Cologne and Mainz. He and Ömer Toprak have also taken January signing Akanji under their wing. The Switzerland international is not quite the finished article — he, like most of the BVB team, struggled against Bayern Munich — but at just 22 he represents Dortmund’s future. Blessed with power, pace and vision, the former Basel man looks set to blossom into one of the Bundesliga’s best centre-backs. Along with Naldo, Nastasic has been an indispensable member of Schalke’s formidable backline this term, although the Serbia international will play no part in the Revierderby after picking up a fifth yellow card against Hamburg. Strong in the tackle and calm under pressure, the former Manchester City man was also suspended for the 2-1 loss to Bayern on Matchday 22, and his absence will no doubt be keenly felt at the Veltins Arena. He will likely be replaced by Thilo Kehrer, given that Insua has barely featured all season. The Spanish centre-back became Tedesco’s first signing when he joined from Deportivo La Coruna last summer, but in October he was diagnosed with a heart condition that threatened to spell the end of his career. Fortunately, the 24-year-old has made a full recovery, and finally celebrated his Bundesliga debut against Wolfsburg on Matchday 27.